Electric bike tour in the vineyards (including stops at a winery, olive oil mill and cheesemaker). Pick up fish from local fisherman and learn how to make fish soup. Beach/Stand Up Paddle in the afternoon. Night market in Sanary. Enjoy the beach in the morning before the crowds and have a picnic on the Bendor island. Wine tasting. Electric bike tour of the city. Boat trip to Chateau d’If. 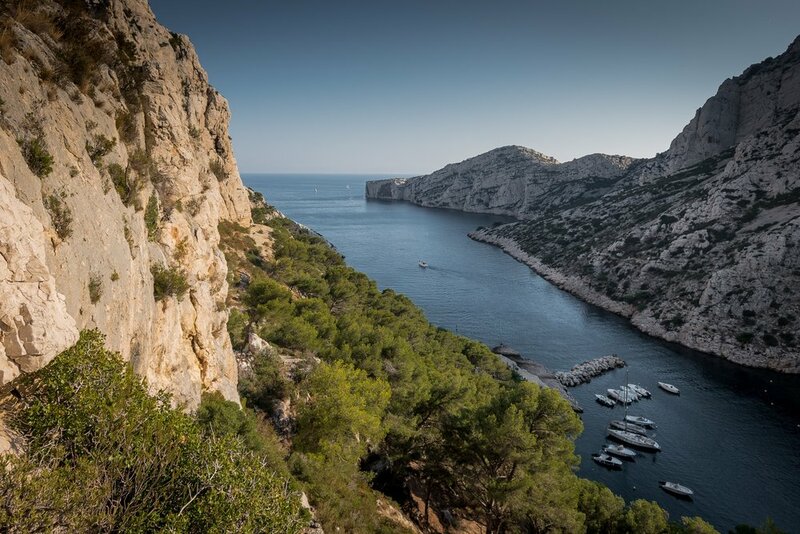 Kayak in the Cassis calanques in the morning and tour of several Bandol wineries in late afternoon. Snorkeling in Port d’Alon. Picnic and game of petanque. Walk along the coast for those who want to. Eat the classic bouillabaisse dish at a local restaurant in the evening.